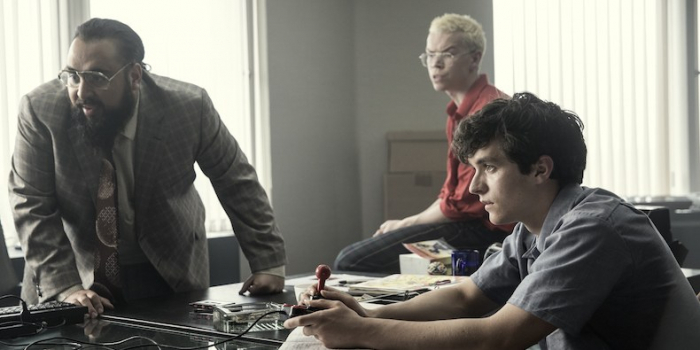 A book publisher is suing Netflix over Black Mirror: Bandersnatch. Chooseco LLC, the publisher of the Choose Your Own Adventure book series, claims the film infringes on its trademarks, Variety reported on Friday. Bandersnatch, which came out in December 2018, lets the viewer make choices for the characters throughout the film, thus influencing the course of the plot. Choose Your Own Adventure books were especially popular in the Eighties and Nineties. They place the reader in the protagonist’s shoes, enabling them to make choices that shape the story. Chooseco LLC is now seeking at least $25m (£ 19m) in damages and accusing Netflix of exploiting the Choose Your Own Adventure brand awareness. According to the complaint filed in Vermont federal court, Netflix sought to license the Choose Your Own Adventure series in 2016, but never received it. “Chooseco and Netflix engaged in extensive negotiations that were ongoing for a number of years, but Netflix did not receive a license,” the suit states according to The Hollywood Reporter. The complaint also singles out a scene in Bandersnatch where the protagonist says, in reference to the book that has inspired him to develop a video game: "No, it's a 'Choose Your Own Adventure' book." Representatives for Netflix contacted by The Independent had no comment.